By Rob O'Halloran | March 12, 2017. Over The Top Wrestling set the scene for ‘Scrappermania 3’ as it entertained a sold out Tivoli Theatre on Francis Street last Saturday night. The show had the raucous crowd on their feet from start to finish as its top stars returned to the Tivoli for another sold-out show. Among those at the show were WWE stars Tyler Bate, Pete Dunne and Trent Seven as well as Finn Bálor’s understudy Jordan Devlin. International talent such as Mark Haskins and Jigsaw were also on the card as they mixed it up with some of Ireland’s finest wrestling talent. The main event saw the ‘No Limits Champion’ Ryan Smile retain his championship against the equally popular Jeff Cobb in a fast paced tie. It was the team of Seven, Bate and Dunne, however, who drew the reaction of the night, as they took on the vilified ‘Kings of the North’, who sported red gloves on their right hands. The only reaction that came close was for the returning ‘Bowsie Club’, whose leader ‘Luther Ward’ is portrayed by Over the Top Wrestling’s promoter Joe Cabray. With another success at the Tivoli and a monumental sell out of the National Stadium for ‘Scrappermania 3’ on April 15th, Cabray is naturally optimistic about OTT Wrestling’s future. “We’re branching out into places like Limerick and we did the Vodafone comedy festival in Galway and we are starting to run more regularly in Belfast,” he said. Paul Tracey, who with his stable ‘The Social Elite’ defeated the returning ‘Bowsie Club’ shares Cabray’s optimism. Peter Farrell who wrestles as ‘Justin Shape’, is loving life as a bad guy despite being booed out of the building on saturday. Shape believes wrestling is becoming cool again partly due to the internet. 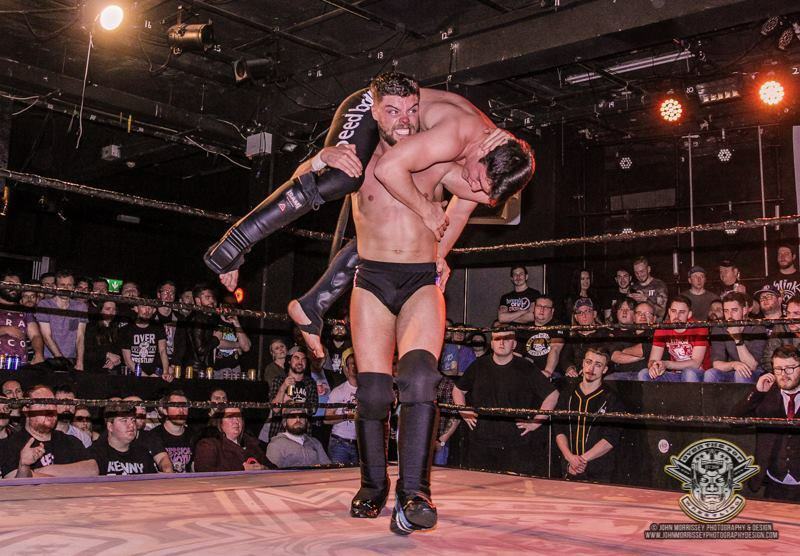 This trendiness is evident in the continued rise of Over The Top Wrestling with April’s ‘Scrappermania 3’ set to be the biggest Irish professional wrestling event in history.